Thru the Lens: Avison Young hosts panel discussion, "Amazon Effect"
New York, NY Avison Young’s local office hosted a special panel discussion on the “Amazon Effect” at the firm’s State of the Market Breakfast held on Thursday, January 17th. Moderated by James Nelson, head of Avison Young’s Tri-State Investment Sales Group, the panelists included David Brause, president of Brause Realty and chairman of the LIC BID Board of Directors, Elizabeth Lusskin, president of the LIC Partnership and LIC BID and Jeremy Shell, principal, TF Cornerstone. 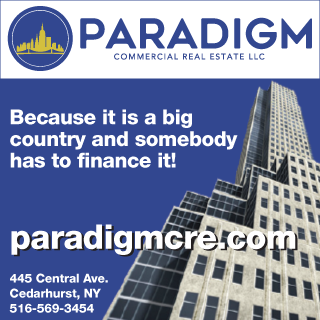 The blue ribbon panel examined the impact that Amazon’s new headquarters will have on Long Island City and New York City as a whole. Already one of the fastest growing neighborhoods in the country, Amazon’s announcement has substantially boosted additional interest in the waterfront neighborhood. The panel addressed criticisms and misconceptions about the Amazon HQ2 announcement, stating that Amazon simply accessed existing city and state economic development programs that were already in place to attract businesses and jobs and was in no way a “corporate giveaway.” Additionally, all of the incentives are performance based. Amazon HQ2 will bring at least 25,000 direct jobs to New York City, making it the greatest job generator in New York State history, and the city’s second largest employer. Thousands of construction and union jobs also will be created. The project will produce a 9 to 1 return on public investment by generating $186 billion in economic impact over the next 25 years, $14 billion in tax revenue to the state and $13.5 billion in tax revenue to the city. Amazon HQ2 also will help diversify the New York City economy. Local businesses will benefit as Amazon employees will need to find places to eat, shop, workout, etc. during the day and the evening; Amazon’s properties typically do not include those free perks in their buildings, which encourages employees to support local establishments. With the expected influx of new residents and planned infrastructure improvements over the next decade including new housing, parks, schools and subways, this area will become a true live/work environment. Amazon will serve as an ally and an advocate to stimulate these improvements. Very few expected Amazon to select Long Island City, but in the end this rapidly growing waterfront area “checked all the boxes” for what Amazon was looking for. New York City attracts the best and the brightest in the world, which will give Amazon access to a wide and rich talent pool. Long Island City’s central location was particularly attractive to Amazon because of mass transit options--the neighborhood offers eight subway lines and ferry access. 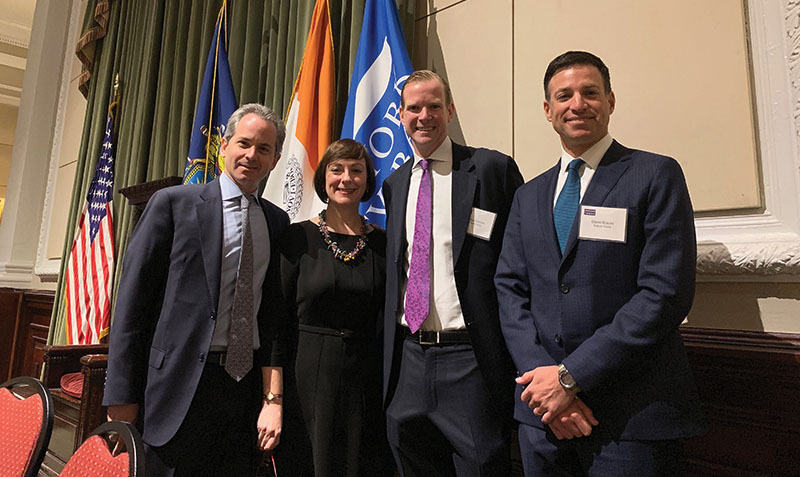 Before the Amazon Effect panel, James Nelson presented Avison Young’s 2018 Year in Review Sales Report that showcased dollar volume of New York City investment sales jumped 35 percent year-over-year to $45 billion in 2018, while the total number of trades during this period rose by 10 percent to 1,565.